Located directly off the Bart Plaza, the East Side Club offers a luxury experice for guests. With private bars, concessions and restrooms, East Side Club seat ticket holders receive an elevated guest experience at Oakland Alameda County Coliseum. On Raiders game day, the East Side Club is available to Club Seat ticket holders only. For pricing, benefits and availability please contact the Raiders at 510.864.5022. Available for private event rental, the East Side Club is the crown jewel of special event space. The largest space in Oakland Alameda County Coliseum with 40,000 sq. ft. and ceiling heights up to 45’, great for business or social events. From trade shows and wedding receptions to corporate mega-events this club provides accommodations for up to 3,000 guests. The East Side Club is equipped with two full-service bars, two smaller yet equally equipped bars, and over 40 TV screens throughout. It may be divided into thirds or less for smaller gatherings. 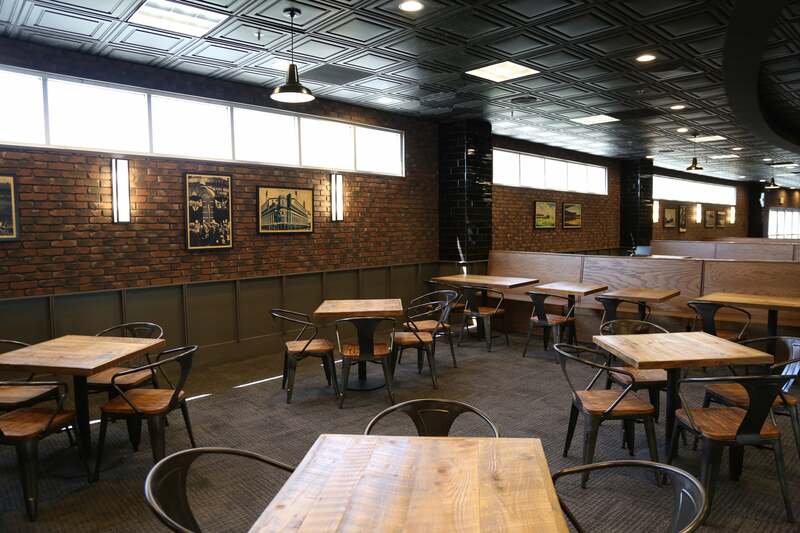 Three conference rooms, accomodating up to 30 people each, are also available within the East Side Club. This premier dining facility overlooks the playing field offering spectacular views. Located on the second level of Oakland Alameda County Coliseum, the club hosts the longest sports bar in Northern California and features multiple flat screen televisions. 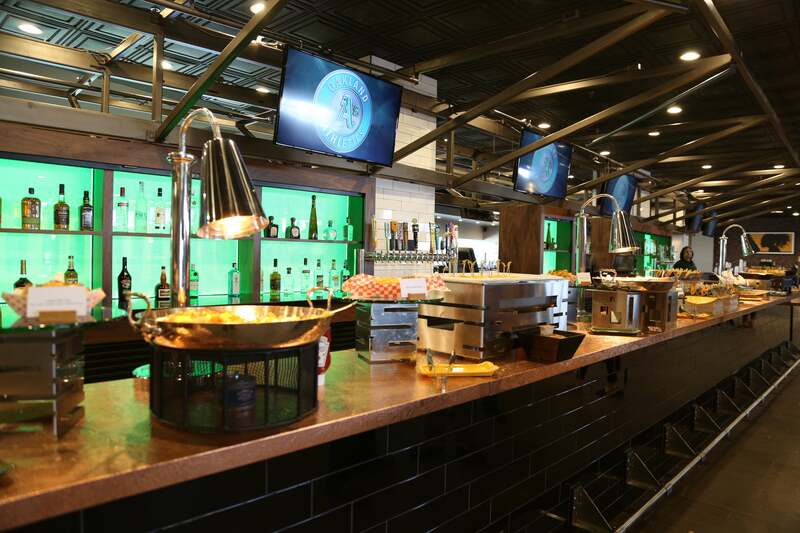 For Oakland Athletics events, the West Side Club is open to all ticketed guests. Enjoy a large selection of craft beers on tap, wood fired pizza, and specialty foods by homestand. Sit down menu service is also available. For private event rentals, the West Side Club is perfect for morning breakfast meetings or for a team-building meeting followed by a team photo taken on a Major League playing field.